If you’re not a fan of adding turmeric to your diet in dishes like turmeric soups, smoothies or as a spice for meat, you may try a turmeric supplement. Turmeric supplements also contain higher percentages of curcumin than naturally occurring turmeric, which is great because curcumin is really the star player behind turmeric, and its there that you will receive all the fantastic health benefits of turmeric supplements, curcumin supplements and other nutraceuticals. If you can’t remember what these health benefits are, here’s a little recap. Turmeric is a natural anti-inflammatory compound (and inflammation plays a part in almost every major disease), turmeric increases the antioxidant capacity of the body (oxidative damage causes aging and several diseases), curcumin boosts brain-derived neurotrophic factor (BDNF) which improves brain function and lowers your susceptibility to brain diseases, turmeric can help prevent cancer by reducing angiogenesis, curcumin lowers your risk of heart disease, curcumin is helpful in preventing Alzheimer’s Disease by crossing the blood-brain barrier, curcumin helps combat depression by increasing brain-derived neurotrophic factor, curcumin helps delay aging and promote longevity by fighting oxidation and inflammation and lastly, curcumin supplements have helped arthritis patients treat their inflammation. So how should you take a turmeric supplement? How do you ingest curcumin in general? Well, turmeric has a poor oral bioavailability (a low percentage of what you consume is absorbed into your body and entered into your circulation) and thus should be taken with other agents such as black pepper extract. Supplements also help to pair turmeric and its subsequent curcumin with chemicals that help increase its bioavailability. Increased bioavailability is desirable unless you want the active ingredient curcumin in your colon (it is a colon anti-inflammatory and can aid with digestion), in which case you wouldn’t pair it with an enhancement. And how much curcumin should you take? Well, doses that include up to eight grams of curcuminoids (in humans) have been shown to not be associated with many adverse effects at all and in vitro tests suggest curcumin has quite a large safety threshold. The acceptable daily curcumin dosage is three mg/kg body weight (three mg for every kg of bodyweight), according to the European Food Safety Authority Panel. 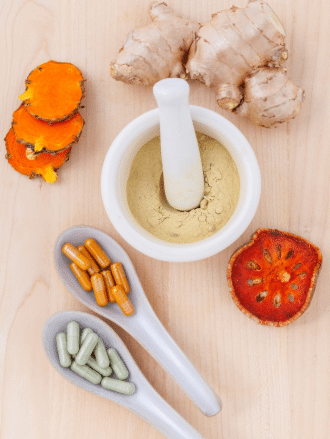 It is important to follow these dosage guidelines, because turmeric supplements are comprised of a much larger curcumin concentration than natural turmeric is. Organic turmeric only contains between two and seven percent curcumin. Curcumin and turmeric supplements, however, are manufactured to contain a higher dosage and concentration of curcuminoids. 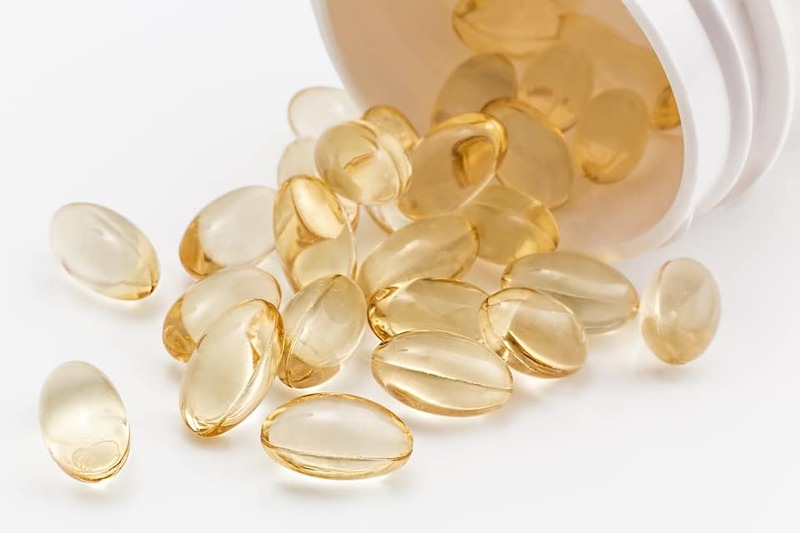 Some of these supplements are standardized to contain a concentration of curcuminoids as high as 95 percent, so make sure you are cognizant about the dosage and not taking too much (or too little for that case, you still want it to be effective). If you want the best in turmeric supplements, turn to Nutent Therapeutics. We have the highest quality, most effective curcumin supplements, turmeric supplements, and nutraceuticals on the market today.